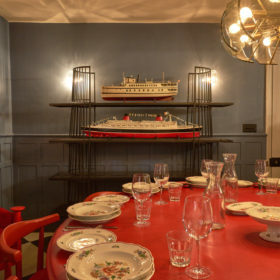 Sussex’s maritime past comes alive in The House in Hastings. 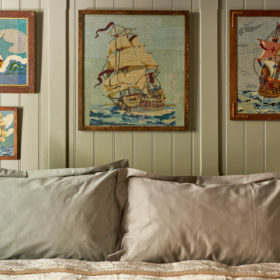 Get the gang together among hand-picked antiques, vintage furnishings and pictures of old seadogs. Gather round the giant TV screen, be catered for in-house, burn driftwood on the fire. Summon the seaside spirit. 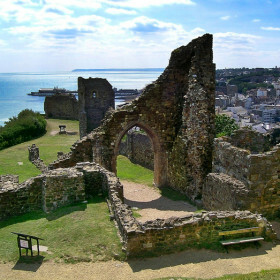 High on a hill overlooking the Old Town and the Channel beyond, determined to repel foreign invaders, sits the House in Hastings. Built by an admiral long ago, it’s available today to families and groups to sing sea shanties and play the concertina all day long, or just chill by the sea. 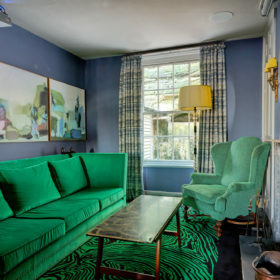 After two years of restoration, the House in Hastings is psychedelic, spacious and special. 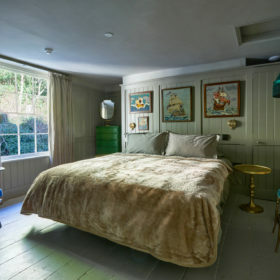 Hand-picked antiques and vintage furnishings sit alongside bespoke curtains and hand-made carpets and rugs. Paintwork sparkles in Mylands’ Colours of London range. Buy fish fresh from the beach. 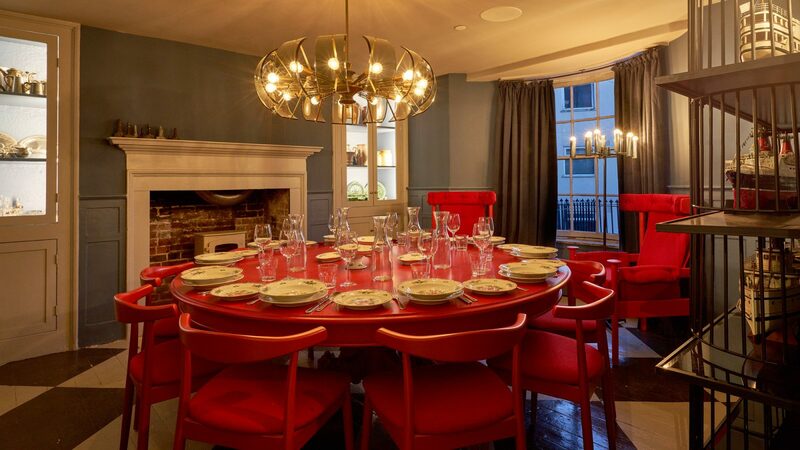 Pick from the bespoke menu and be catered for in-house. Make it a movie night around the giant TV screen. Tap into the wifi. Burn driftwood on the fire. 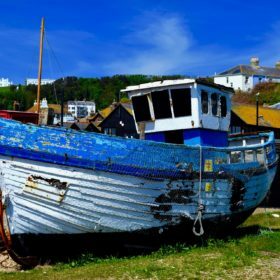 Eat, drink and be maritime around relics of the waves, pictures of old seadogs and window views that summon the spirit of Sussex’s seafaring past. 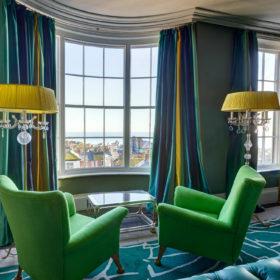 Wander the fish bars and brasseries of the Old Town, then come home to soak up the views from the freestanding window baths and sleep in rooms as seaside as a ship in a bottle: The Crow’s Nest Bunk Room, The Cabin, The Admiral Suite, The Captain’s Room and The Cliff View. 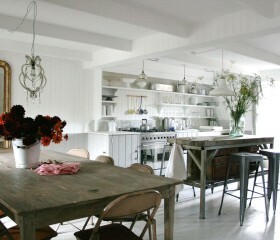 The House in Hastings is nautical but nice. 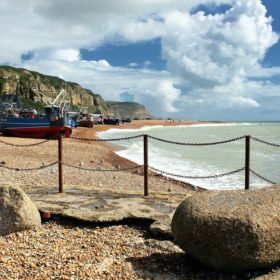 The true playground is out there in the bars and brasseries of Hastings Old Town, or down on the beach, backed by grand Edwardian hotels, the two-level prom and the Victorian pier. 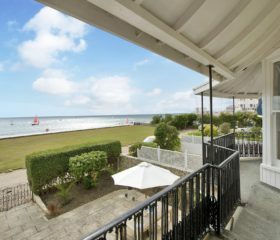 But high up above the seafront buzz, a courtyard garden offers private outdoor space to escape with a book, to take coffee and croissants in the morning air, or to throw burgers and bangers onto the barbie in the evening sunshine. 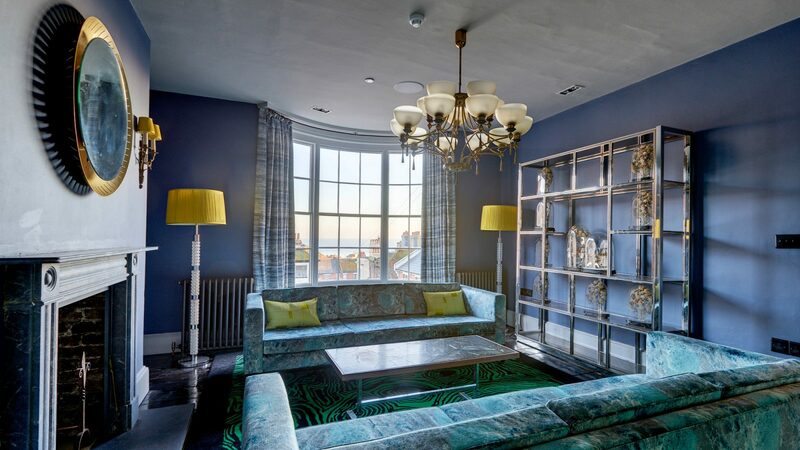 Behind the three imposing bay windows, living spaces are entrancing and extravagant. Colours are loud and lurid yet luscious, too. 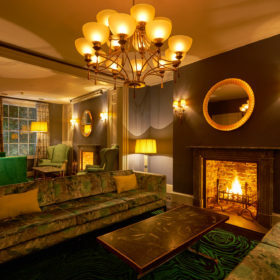 Animal-print rugs sit by ornate standard lamps and mirrors. 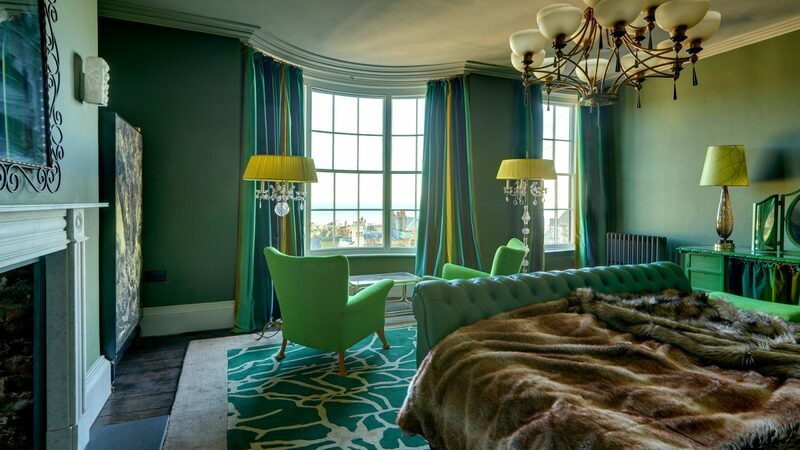 Sweeping swags hang at the windows, framing the views of the Old Town and the sea beyond. 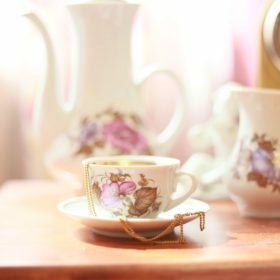 Hand-picked antiques and vintage furnishings exude an eccentric luxury, while bespoke curtains and hand-made custom carpets and rugs abound. 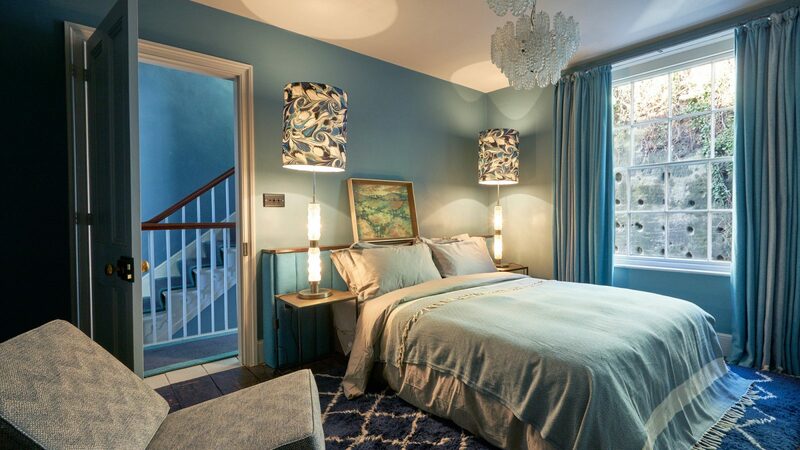 The vivid blues and greens come from Mylands’ Colours of London range. 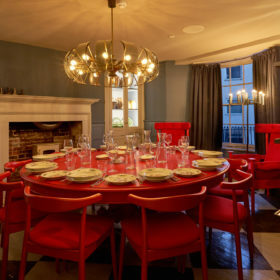 These are spaces designed to pull people together around homely open fires. 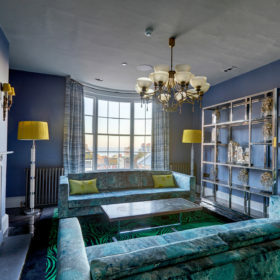 Snuggle up in front of the six-foot projector with Freeview Apple TV, escape to the bliss of a quiet book, or summon up some sounds on the integrated wireless Sonos system. This is the hotel where you choose your own guests. 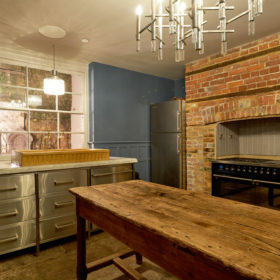 The twin-oven six-burner hob is at your disposal, but so is our own in-house chef, exclusively yours and ready to put together a bespoke menu for a one-off celebration or a fully catered holiday. Keep up the pampering by picking up the phone and calling Pizzarelli for a Pedrino, a Pepperoni or some hot wings with sour-cream dip. Or how about duck tikka or chicken pakora from Cinnamon Spice? Need to get out? 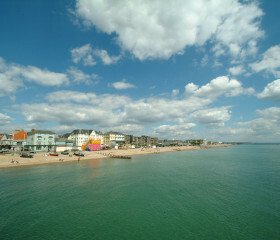 You can take a breezy seaside walk to The Crown, The Jenny Lind, Dragon Bar, First in Last Out or Ye Olde Pumphouse. 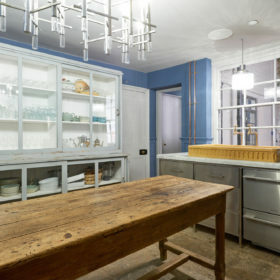 Or how about pretty Petit Fi, home to glittering chandeliers, rustic tables, mismatched chairs and fig salads followed by courgette and lime cake. For calamari, it’s the Rock-a-Nore Kitchen, or for cheery fish and chips, The Old Town Fish Bar. Latham’s Brasseries offers fish from boats just 500 metres away. 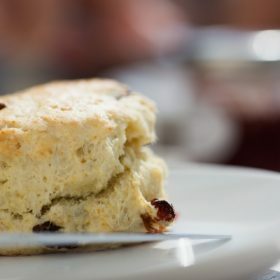 Fagin’s is a kid-friendly restaurant, the longest-established in George Street, while cosy Cafe Maroc serves authentic Moroccan tagines and shakshouka. 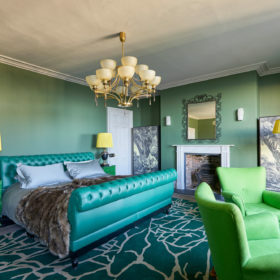 Extravagant and exuberant, bedrooms at the House in Hastings come in vivid, livid shades of green and blue, with original cornices and deep skirting boards competing for your attention with cast-iron fireplaces, animal-print rugs and chunky throws. Ornate lamps and theatrical curtains complete the picture. There’s a nautical theme going on here. Your galleons will exchange gunfire as you battle over the Admiral Suite, with its superking bed, sea view and en-suite bathroom. Light the logs in the lounge area at dusk and watch the sun set over the boats that chug home from the Channel. 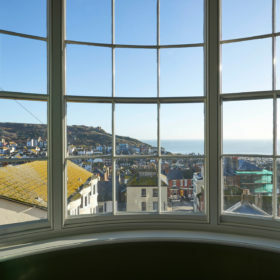 The en-suite Captain’s Room is also a superking (or twin) with views out to sea from your freestanding bath. The Cliff View Room, lit with a mirror ball, offers a kingsize bed and adjacent bathroom, while the Cabin Room provides towering top-floor views with an adjacent bathroom and choice of superking or twin beds. 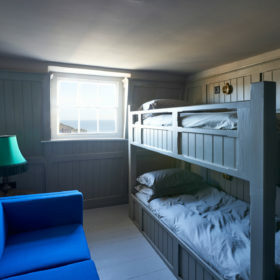 Also on the top floor is the Crow’s Nest Bunk Room, complete with full-size three-foot bunk bed. 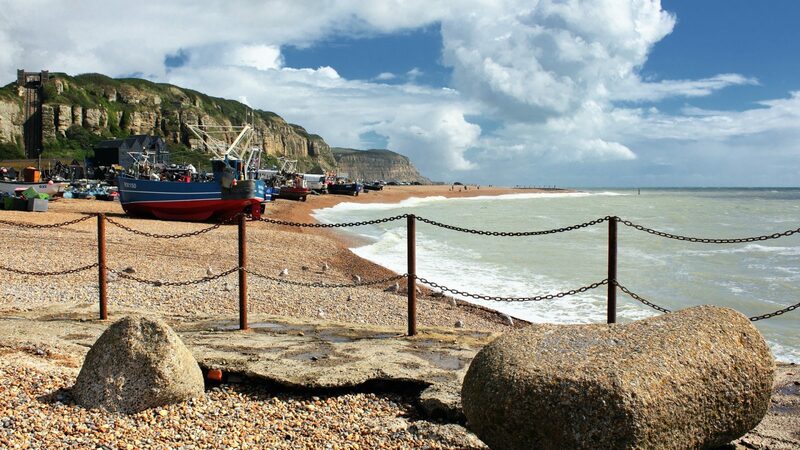 Sleep at the House in Hastings is accompanied by the call of the wheeling gulls and the gentle wash of the ocean onto the shingle beach. Revive the dark, broody story of Sussex smuggling at St Clement’s Caves. Soothe the mind and body at the Spaghetti Tree spa. 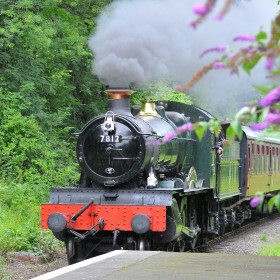 Do the 1066 thing at Hastings Castle and Battle Abbey, or steam along the Bluebell Railway. 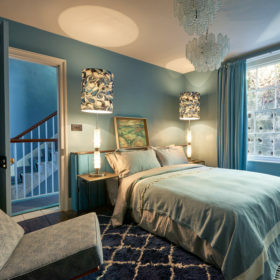 Stay in for poker and karaoke, pedicures and manicures, movie marathons or wine and cheese.